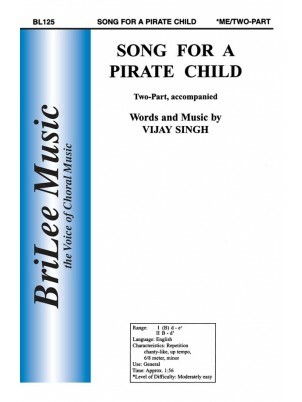 Vijay has created this delightful pirate song, complete with "yo ho hos" and a rolling sea accompaniment. Sing this work with good diction and swagger. Singers may want to "roll with the sea" while singing. Even a bit of costuming would not be out of place for this one. So, sail that sea so wild and free, and live the life of a pirate child.